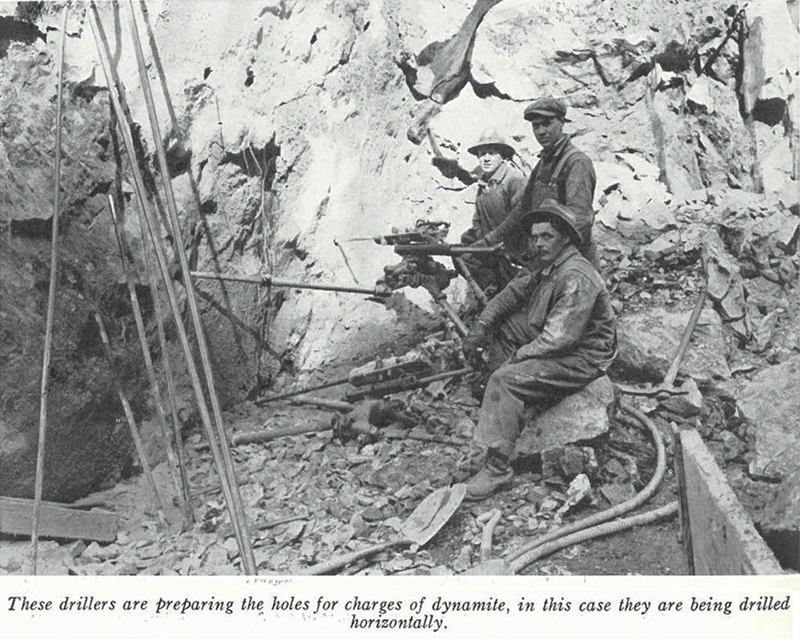 Three miners pause to smoke their pipes before returning to drilling dynamite holes deep into asbestos-laden rock in Nicolet, Que. 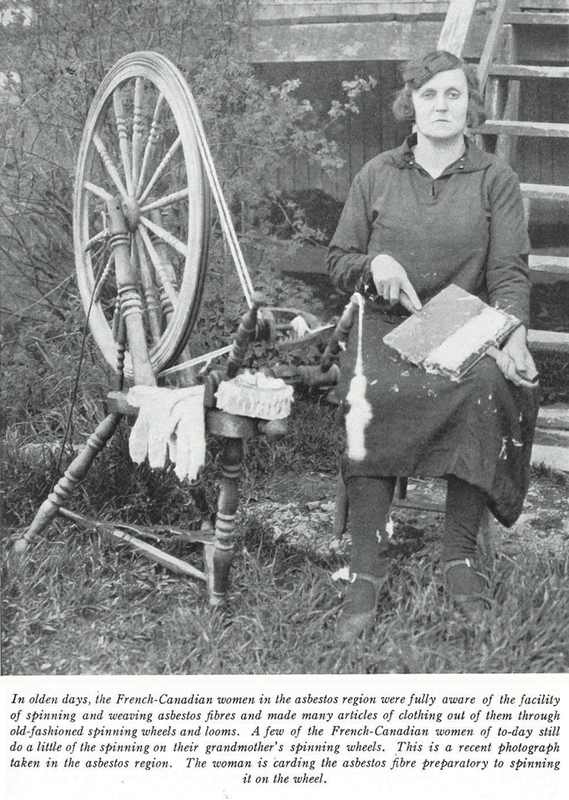 In the Eastern Townships, a woman cards asbestos fibres, preparing the material to be woven into clothing. 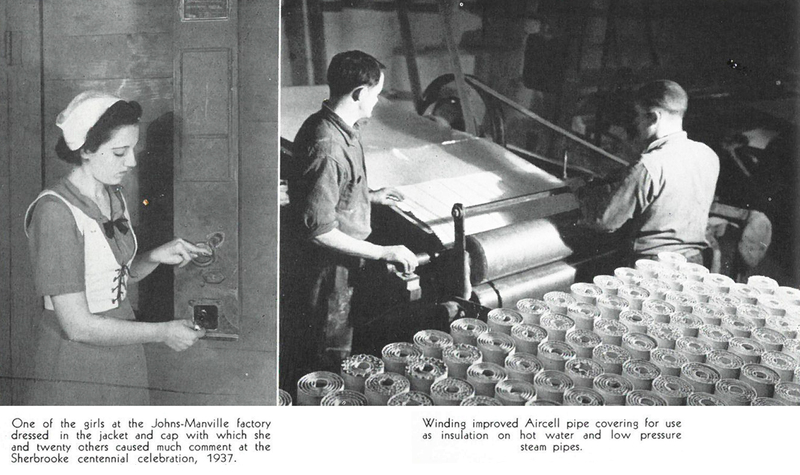 In a “cobbing” room at Thetford Mines, rows of “bright and healthy looking French-Canadian girls” wearing floral patterns and swinging hammers smile as they crack apart asbestos rock. 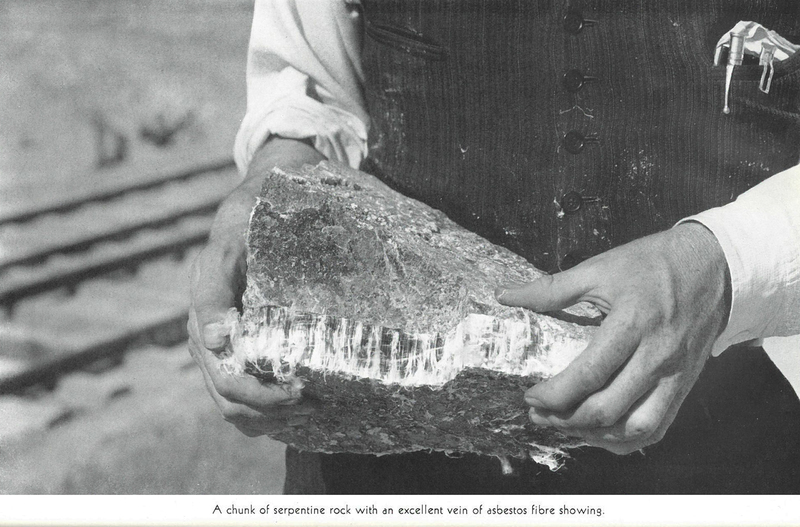 These are a few of the images printed in Canadian Geographical Journal's feature stories “Asbestos — ‘Pierre à Coton’ ” (October 1930) and “Fibres of gold” (March 1938). Both are sweeping and celebratory accounts of a burgeoning industry built on what was then considered a miraculous, indestructible substance with powerful peace- and wartime applications. While it didn’t quite last another century, asbestos was a staple of the Canadian construction industry for longer than it should have been. Today, the federal government announced a comprehensive ban on the use, export and import of all asbestos products, an expanded building registry and other measures — legislation long demanded by public health and labour groups. Although Canada’s last asbestos mine closed in 2011, the mineral has continued to be imported in products such as brake linings and pads, asbestos cement and even its raw form. This, despite the fact that medical researchers in Canada, the United States and Europe have been adding to a mountain of peer-reviewed studies connecting asbestos exposure to chronic inflammation and scarring in the lungs (a condition called asbestosis) and a slew of fatal cancers since the 1930s. Meanwhile, early studies were already finding that one in four workers was suffering from asbestosis but that symptoms of the condition and other harmful effects of asbestos exposure might not manifest for years. As recently as July 2016, the Globe and Mail reported that experts at the Occupational Cancer Research Centre at Cancer Care Ontario estimate that asbestos exposure is still to blame for at least 2,000 cancer cases in Canada every year — most of them fatal. 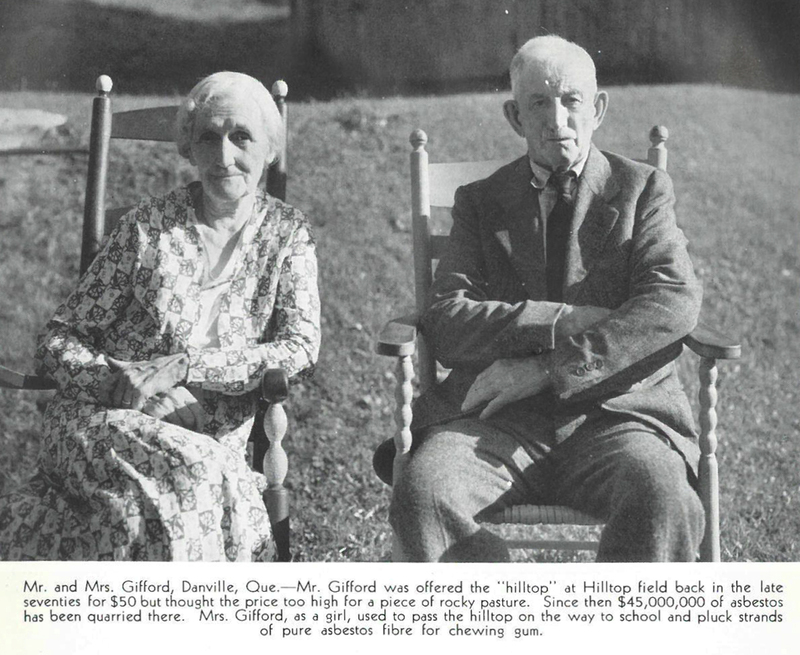 Given what we know about this mineral today, it’s natural that we’d cringe upon seeing a photo of Danville, Que., locals from the ’30s with this caption: “Mrs. Gifford, as a girl, used to pass the hilltop on the way to school and pluck strands of pure asbestos fibre for chewing gum.” But it’s part of a fascinating snapshot of a time before “asbestos” was a bad word, and when the colossal economic promise of the small-town Quebec industry dwarfed the inconvenient findings of a still small body of medical studies.